Registered base of .mobi domains is sinking. 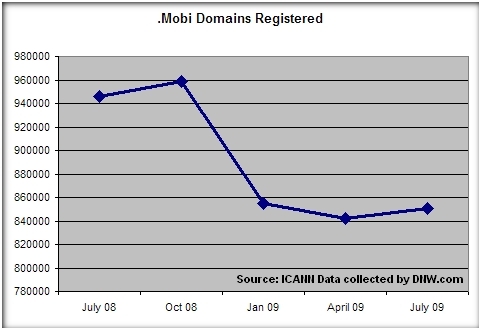 The total number of .mobi domain names registered fell to 850,712 in July 2009, the latest number available through ICANN. That represents a 10% drop from the same month in 2008 when the total base was 946,357. 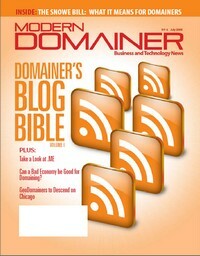 The number of .mobi domains registered has held stagnate this year, hanging around 850,000 domains. .Mobi has been one of the best marketed new top level domain names to ever be released. A couple months ago I was surprised to see people calling out mTLD for not promoting the domain more. I suspect these people are more frustrated about resale values of the domain than mTLD’s marketing. mTLD has marketed the heck out of the domain, released software to support domain registrants, hooked up with GoDaddy (which has registered about half of all .mobi domains) and forged alliances with mobile device makers. That said, it looks like 850,000 may be the ongoing magic number for .mobi domain registrations. A lot of people bought .mobi domain names for speculation, and with the resale market faltering, it’s unlikely to see a surge in new registrations for the domain. Later today I’ll post numbers from .asia and .tel to show how those domains are performing.